One early summer morning I took my camera, got the bike and took off cycling around Oughterard. I love getting up early and cycling about 6 am in the summer is absolutely wonderful. There is still a bit of a chill in the air, birds are singing, and most importantly there is no one out and about yet. The whole town is mine to play with. 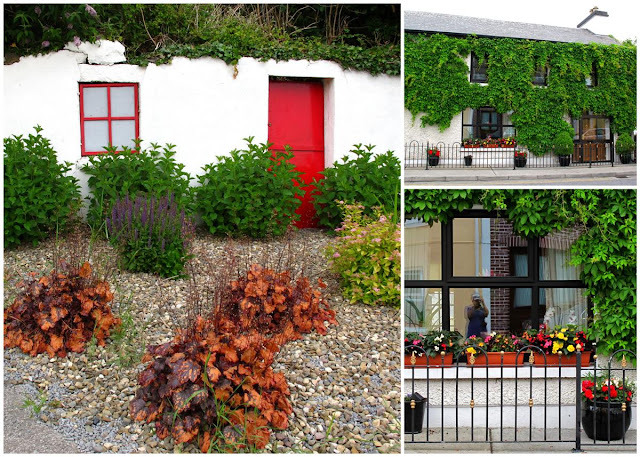 So, that morning I cycled main street and took shots of most of the main buildings and shops, went down Camp street and took the path to the boat house, then all the way to the pier - another one of my favourite places. From there I went up The Bog road, I have written many times about that one, and there are many photos taken there. 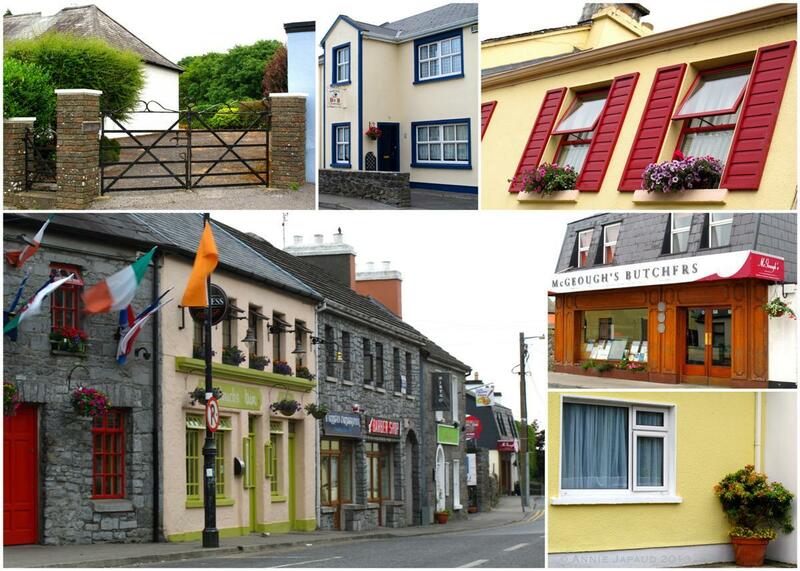 For me, those are some of the best places in Oughterard. 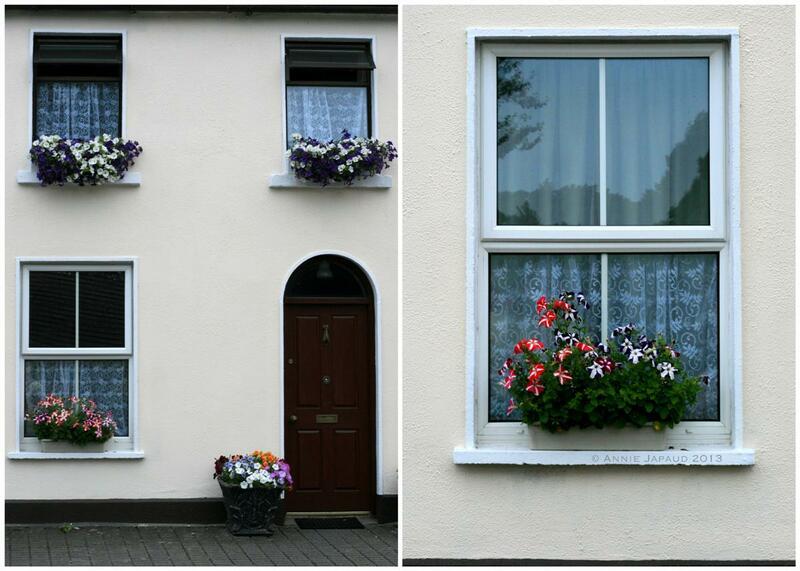 Obviously depending on the season and the weather, which is very important around here. 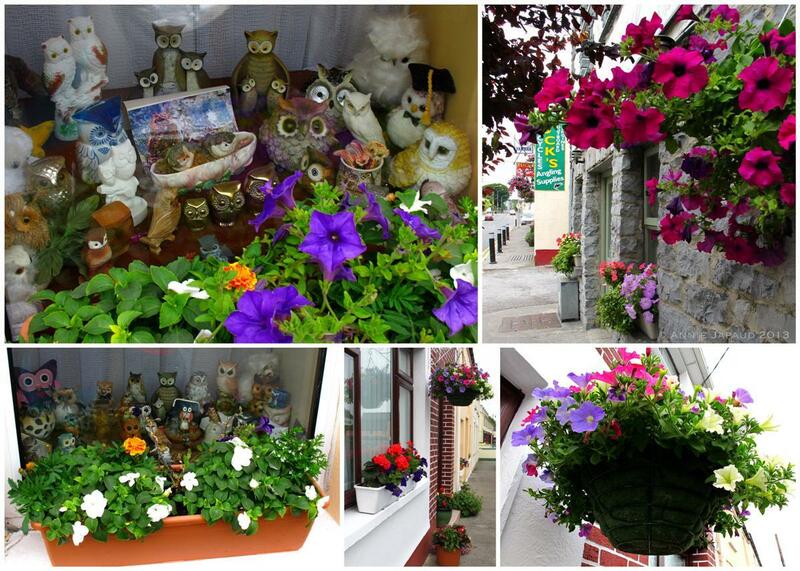 But let's get back to that early summer morning and have a look at the lovely town of Oughterard. 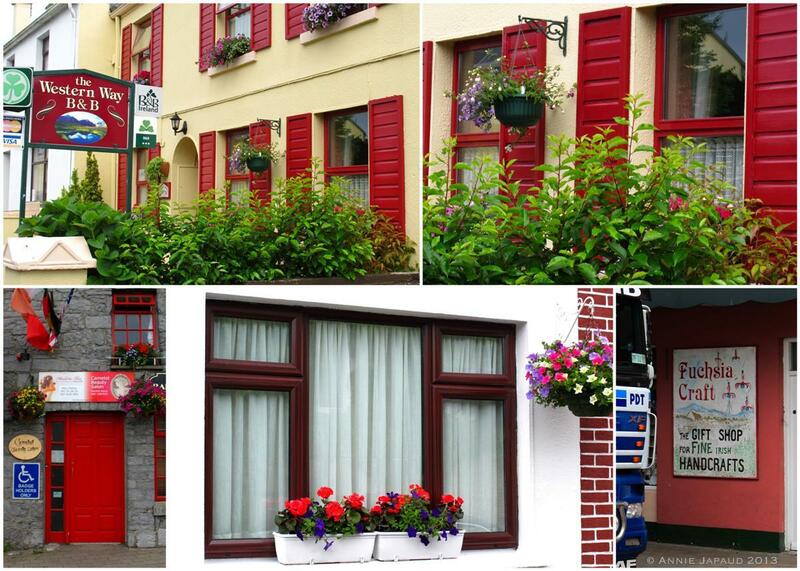 Enjoy the beautiful flower pots everywhere decorating the town windows and the colourful and peaceful cottages. You are welcome to leave a message or comment!! 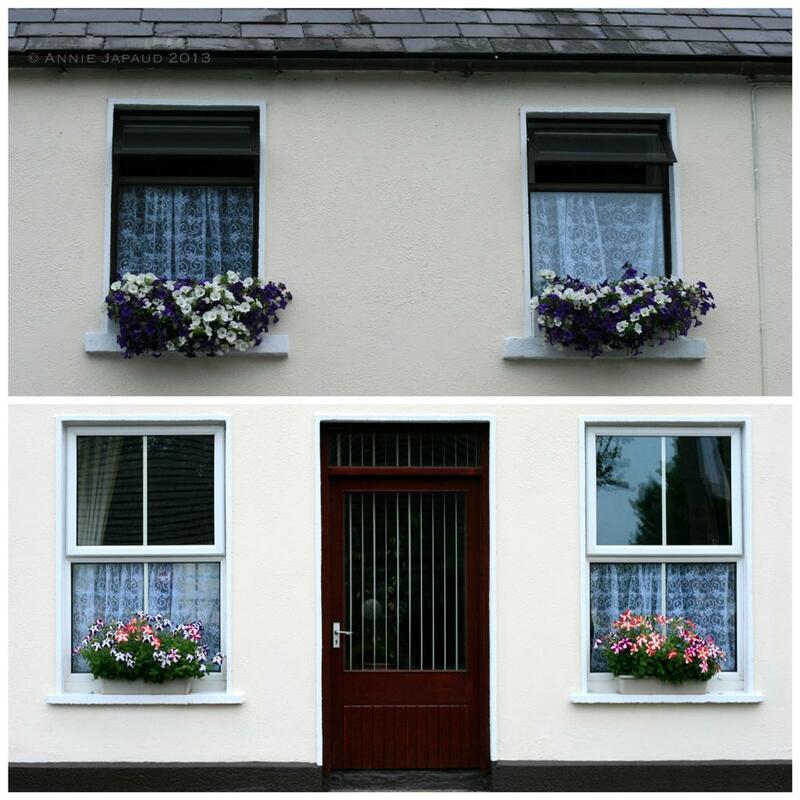 Follow this link for my latest post about Oughterard with my latest find on main street! !